Disha is a Yoga teacher and also a passionate traveller. She has also worked as a music journalist previously with Rolling Stones India, it was during those days she came across a Yoga course and she felt “I HAVE to go here! I HAVE to know what Yoga can do for me”. And, since that first experience, Disha has been passionately practicing yoga and travelling as well. Disha also designed a series of workshops about Yoga and Art, which combines creativity and therapeutic benefits of yoga. Let’s learn more about Disha’s journey here. Julie Bernier is an Ayurvedic Practitioner and founder of True Ayurveda based out of Los Angeles, CA. 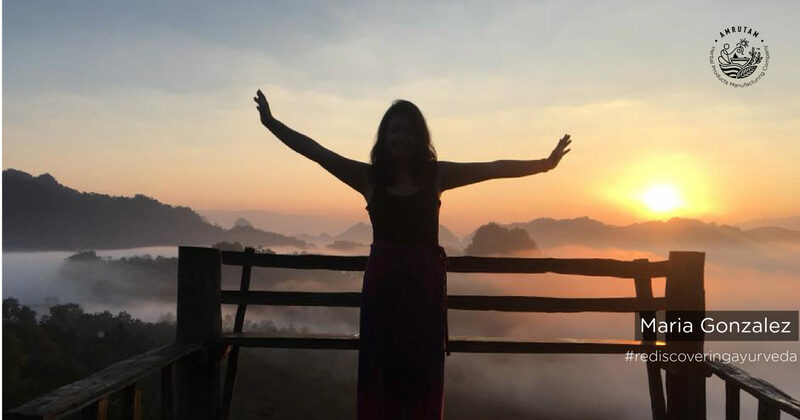 She works with clients privately from her practice in Malibu, you can attend her group workshops, cooking classes, and yoga throughout Southern California, and she leads guided trips to India twice yearly. Amrutam got in touch with Julie to continue rediscovering Ayurveda through different perspectives. This is the tenth article in Amrutam’s series of articles called Rediscovering Ayurveda, which aims to understand the idea or perception that modern-day men and women carry about Ayurveda. Maria Gonzalez hails from Bogotá, capital of Colombia. She is a traveller and loves to explore different cultures. So far, she has travelled to more than 26 countries in America, South America, Europe and Asia. Rediscovering Ayurveda is Amrutam’s series of articles which will include various men and women and their ideas about Ayurveda. Even though, India is the birthplace of Ayurveda, with passing time it has lost its original importance as a school of life amongst Indians and many times have been limited to be referred as a school of medicine. Ayurveda is surely much more than that. Saurabh hails from Maharashtra, from the holy city of Nashik – having its connection with Indian mythology and the great Indian epic- Ramayana. 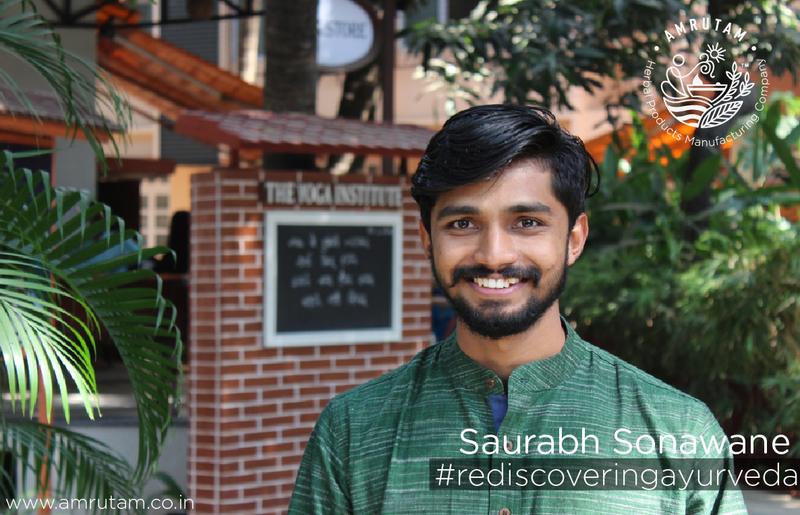 Saurabh is a certified yoga teacher and an ayurveda enthusiast. Despite the great divisions between the western and eastern ways of thinking, similarities between the two are amusingly peculiar. In one of our earlier blog posts, we talked about Purusharthas. Purusharthas are four goals of life or four aims, as mentioned in the great epics of Ramayana and Mahabharata. These four goals are Dharma, Artha, Kama, and Moksha.